Cancer doesn’t always play by the rules and nobody knows that better than osteosarcoma bone cancer hero Boone. 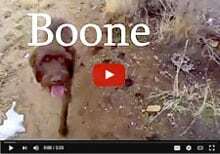 Six years after his people bypassed chemotherapy for their beloved bird dog, Boone’s pack couldn’t have asked for a better outcome. “We were just hoping for one more year,” Dan Thompson recalls. But that hope didn’t come easy. When his vet first suggested amputation for his best friend and upland waterfowl hunting dog, he was shocked and saddened. It took time for he and his wife Cindy to come around to the idea, but after doing their research, they ultimately decided that Boone had the makings of a strong, healthy Tripawd. Nearly six years later, the Nevada couple is elated to know they were right. 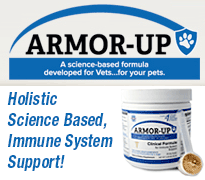 Head’s up: We love sharing stories of dogs and cats thriving with proven nutraceuticals. 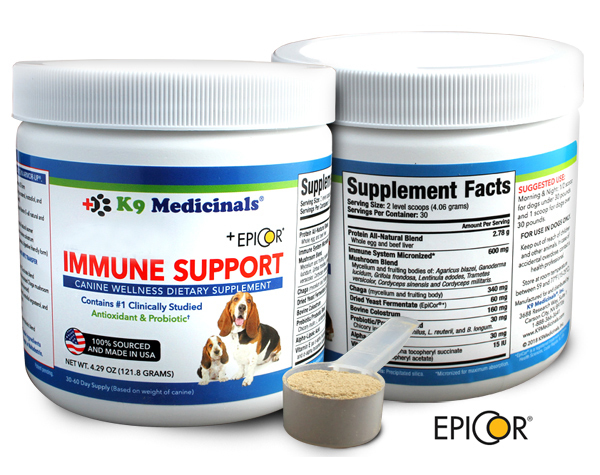 We are being compensated to get the word out about K9 Medicinals’ products, but only because of their relevance to the Tripawds community. K9 Medicinals is not responsible for the content of this article. 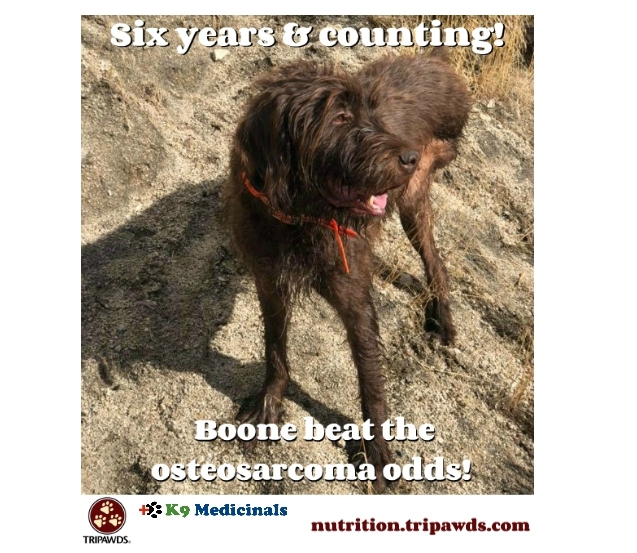 A physically fit bird dog from a young age, this handsome Wirehair Pointing Griffon and Pudelpointer pup was barely four years old when diagnosed with osteosarcoma. The cancer’s terrible prognosis was scary to think about, but Dan and Cindy stayed strong and held out hope for the best. Dan and Cindy’s veterinarian discussed all treatment options with them, but they opted out of the traditional treatment for their active bird dog. “I’m a huge fan of holistic treatments,” Dan says. “Not only for our canine and feline friends, but for us. 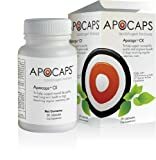 With no guarantees from Mother Nature, but a firm understanding of the immune boosting effects medicinal mushroom therapy can have on pets and people alike, the Thompsons and their veterinarian agreed that the anti-tumor, immune regulating beta-glucans compounds in K9 Medicinals supplements could help Boone thrive without decreasing his quality of life. The decision worked out better than they ever dreamed possible. Month after month, year after year, Boone has defied the osteosarcoma odds. Two years ago he was a Tripawd bird hunting dog and now, as he approaches his six year ampuversary, he still is! This distinguished senior dog is still a thriving example of how well the ingredients in K9 Medicinals® Immune Support can help a dog stay healthy and strong enough to keep doing their favorite activities. The information contained here is not intended to replace a veterinarian’s advice. Please use your own good judgment and always discuss any therapies for your pet with your veterinary team.